How Will TalkingAds Marketing Management Services Work to Manage Your Online Presence? In almost all instances, experts can produce much better results than others with beginner to intermediate skills. This applies to any field or subject area. Specialized expertise and authority knowledge go a long way when it comes to completing niche tasks. This is among the primary reasons why TalkingAds marketing management services are designed and performed by professional marketers, creatives, seasoned advertising advisers and agents. This is also why TalkingAds ensures that they always have the right staff with the most suitable expertise and knowledge in your target niches and in the industry where your business operates. 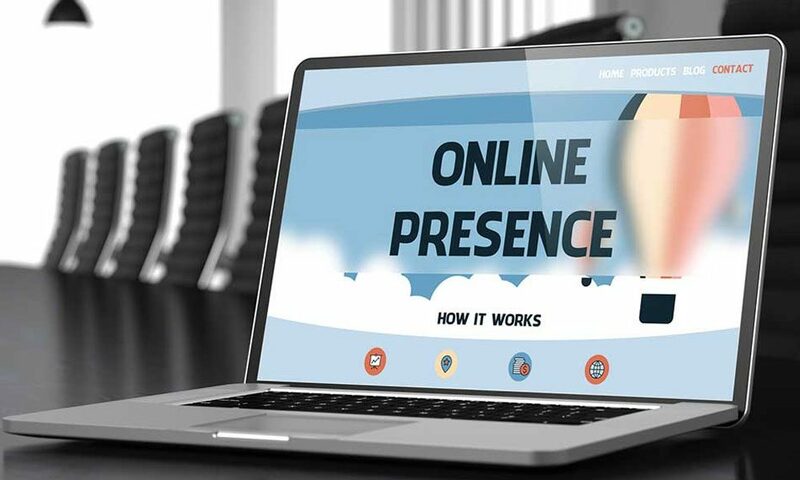 They also make sure that the resources they delegate to your business have significant experience in the target niches and industries of your ideal co-marketing partners and B2B (business to business) prospects. That’s because TalkingAds knows the importance and advantageous benefits of having a cost-effective affiliate and B2B partnership sourcing campaign for your business. Plus, they can consistently provide you with top quality work output on a regular basis. After all, they employ the most suitable managerial, administrative and technical resources for assisting your outsourced marketing and advertising team in performing their day-to-day duties and responsibilities. This way, your team can focus on their daily activities. Their support staff also develops and implements redundancies and contingencies for unforseen events that can negatively affect the overall performance of your outsourced team. Many of their business clients consider this as among the most important factors in their TalkingAds marketing management services. They want to make sure that power failures, Internet downtimes, machine breakdowns, technical issues and employee absenteeism can cost-effectively be handled without significantly affecting the regular work output quality of your outsourced marketing team. TalkingAds also provides dedicated professional client support assistance to their business customers. You can expect to receive regular reports from your team. You can also conveniently contact their support representatives to answer your questions and guide you in streamlining the operations of your outsourced team. Their technical personnel also has significant expertise in ensuring that the right tools and technologies are available to your team, co-marketing partners and B2B prospects. They constantly streamline the back end workflow systems, front end processes and office resources that they use for their day-to-day activities. This ensures that your team is working in a conducive work environment that can help them become as efficient and productive as possible in completing their obligations and duties. First, TalkingAds can guide you on how to create more captivating ads, more enticing organic content or opt-in offers and much more compelling products and service packages. They do this by assisting you in correctly updating the details of your ideal customer profile with timely information that’s most relevant to your business interests, goals and objectives this year. Of course, they have the knowledge and expertise to align your campaigns to the significant interests, shopping habits, content viewing preferences, immediate needs, activities, lifestyles and hobbies of your target prospects and ideal customers at this very moment. Second, TalkingAds can help you sign up more of the right affiliates and B2B partners. They’ll help you successfully identify and convince your ideal prospects to forge mutually beneficial co-marketing deals and B2B partnerships. This can in turn help you significantly lower down your advertising costs and marketing expenses. That’s because you’ll have a group of experts using their own resources and industry connections for promoting your newest products and latest offers to their traffic. You only pay them for the sales that they produce for you from their efforts. It’s like having an extended sales team for your business! Third, TalkingAds marketing management services are also designed to help you dramatically improve your product development, customer support, repeat business and subscriber retention campaigns. Through their expertise, you’ll be able to identify the lacking features of your upcoming products and service deals. They’ll help you generate helpful big data resources from your customer support systems. This can in turn assist them in helping you develop strategic repeat sales tactics and customer retention programs. All these things can lead to more sales, repeat business and much better viral marketing results for you. Fourth, TalkingAds limited has the right resources and tools to spot viable opportunities for your business as they come along. Remember, certain industry trends can drastically change the behavior and needs of your target markets. So do technological breakthroughs that come really fast nowadays. Seriously, you wouldn’t want to miss these opportunities. Keep in mind what happened to the hundreds of businesses globally that failed to keep pace with the mobile and social media craze. You wouldn’t want that to happen to your business, obviously! Fifth, as described earlier, you can rest assured that the day-to-day marketing activities and advertising tasks of your outsourced team are completed on a regular basis. Through this level of consistency, you’ll also be able to identify areas where you can improve on. This offers you the opportunity to scale up the things that are working really well for your business, and to also immediately drop those that aren’t. These are just some of the top benefits and advantages that you can expect from TalkingAds marketing management services. Don’t forget, they also constantly grow and nurture a large network of vetted affiliates and pre-qualified merchants. So when you work with them, you’ll have instant access to these potential co-marketing and B2B partners. Contact them now and remember to ask if they’re currently offering certain promos and discount deals for first time clients. You’re also advised to start out with a pilot subscription, just to gauge the value that you can get from your partnership with TalkingAds this year.